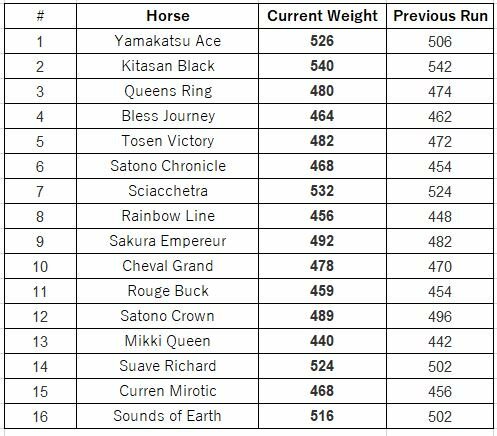 Via Twitter, gate draws & current weights. 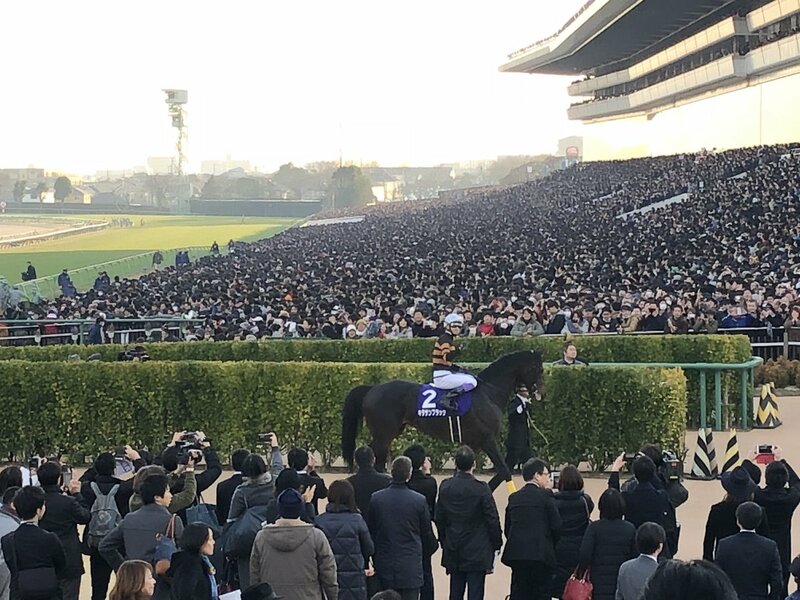 Last time it was Cheval Grand who was reportedly working up a storm & who subsequently took the Japan Cup... this time Twitter says Suave Richard has been very impressive so I don't even know who to root for now. Jockeys are up... go Kitasan!!! Satono Chronicle looks good too... and Rouge Buck and Mikki Queen. And Cheval Grand is on his toes. Kitasan Black gets a huuuuuge ovation as he comes onto the turf course and starts his warmup. ETA: He keeps stopping in the walking ring to stare at the crowd. Can't blame him, the place is packed! Suave Richard is very calm & businesslike, unlike Satono Crown who keeps tossing his head/antsy. Everyone is walking out pretty well. YES YES YES YES YES HE DID IT!!!!!!!!!!!!!!!!!!!!!!!!!!!!!!!!!!!!!!!! Another front-running win by the fabulous Kitasan Black! 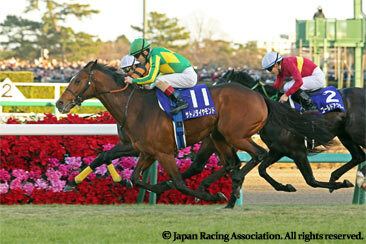 He has such a strong combo of speed and stamina, as well as being a great-looking horse. I know he's fairly tall, but looks even more so with his high head carriage. I imagine his book is going to be stuffed full next spring. I was so worried when Kitasan led the whole way just like the Japan Cup but there was no catching him today! He goes out a hero!!!! Rouge Buck made it up for fifth after running last for most of the race... second/third waiting for the photo. 2-3-10-14-11 now official. YAY KITASAN BLACK!! Everyone got what they came for! Kitasan Black goes out on top! Fans chanting Take’s name shows just how popular he is! Video of that to come! Kitasan Black is a magnificent looking horse and a great racehorse. The Japanese are breeding some incredible horses. Instead of breeders coming here to the US to buy horses, I would love it if American breeders bought some quality Japanese stock to infuse into Thoroughbreds here. So beautiful. I love the arch of his neck.